The very last deception of Satan will be to make of none effect the testimony of the Spirit of God. "Where there is no vision, the people perish" (Prov. 29:18). Satan will work ingeniously, in different ways and through different agencies, to unsettle the confidence of God's remnant people in the true testimony.—Selected Messages, bk. 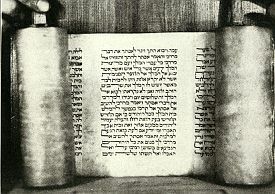 1, p. 48. It is Satan's plan to weaken the faith of God's people in the Testimonies. Next follows skepticism in regard to the vital points of our faith, the pillars of our position, then doubt as to the Holy Scriptures, and then the downward march to perdition. When the Testimonies, which were once believed, are doubted and given up, Satan knows the deceived ones will not stop at this; and he redoubles his efforts till he launches them into open rebellion, which becomes incurable and ends in destruction.—Testimonies for the Church, vol. 4, p. 211, bold added. Are there those with a Seventh-day Adventist background who have become critics of Ellen White who now have doubts about the Bible? Ellen White predicted that there would be. Has this prediction come true? Many who take college theological courses have come across the fact that for the last several centuries, skeptics, liberal scholars, and infidels have been assaulting the Bible's authenticity and authority. Sometimes these skeptics have claimed that the Bible's authors made historical, scientific, and theological blunders. At other times they have claimed that the Bible writers plagiarized from other authors, and made false predictions. Today's critics of Ellen White often wield the same weapons as the skeptics, which raises the question, Do her critics believe the Bible? Or, have they instead adopted the conclusion of skeptics and infidels that the information in the Scriptures is unreliable? When one asks a critic this question, sometimes the answer given is fairly straightforward. For example, one critic we asked this of informed us that he did not believe that God commanded Abraham to offer up Isaac, or that there was a world-wide flood in Noah's day, or that God commanded the Israelites to slay the Canaanites (Walter Rea). In another conversation, he repeatedly tried to convince us that Lot's wife didn't turn into a pillar of salt. Of course, Paul was not a prophet and didn't write any eschatalogical books. . . . Regardless, Paul never claimed his writings were inspired the way EGW claimed hers were. I simply don't believe you can hold Paul and EGW to the same standard because they each made such different claims. Paul claimed to be an "apostle to the Gentiles" although it is uncertain whether any of the other apostles that Christ personally chose regarded him as such. EGW, on the other hand, claimed to be "more than a prophet", a special end-time messenger to the remnant church . . . .—"Re: Hello again from long ago." Dec. 5, 2004. What this critic appears to be saying is that we must hold Ellen White up to a higher standard than the apostle Paul, since Paul might not be inspired and might not be a prophet since he didn't claim to be, while Ellen White did claim to be. However, we have to disagree with our critic on this one, for we have read in the Bible how Paul repeatedly claimed to have had visions, and did claim to be inspired (Acts 9:12; 13:1; 16:9, 10; 18:9; 22:17; 26:19; 1 Cor. 14:6, 37; 2 Cor. 12:7, 1-5; Gal. 1:12; 2:2; Eph. 3:3). You know Paul was not a prophet, and although he calls himself an apostle, I don't see any evidence the real apostles ever recognized him as such.—"Re: More bogusness," Mar. 25, 2005. I can't find any evidence Paul was a prophet, and he was an apostle only by his own admission. . . . I believe we should honor and respect what Paul wrote, but please, let's not confuse him with being an inspired prophet of God.—"Re: Contradictions on Paul," Mar. 25, 2005. Not only does our critic maintain that Paul might not be inspired and might not be a prophet, but he apparently believes that Paul might have been wrong when he claimed to be an apostle. Here's a couple things for you to keep in mind. One, the authors of the gospels never claimed to be prophets, nor did they claim to be inspired. With the possible exception of Mark, the gospel accounts were probably written decades, if not centuries, after the events happened.—"Re: Now the Gospel has to go!" March 25, 2005. Surprised at his suggestion that the Gospels were written possibly centuries later? Similar ideas have been quite common among the skeptics of liberal scholarship for some time now. Yet it is shocking to read such things coming from someone who used to be so staunch in his belief in the Bible. We don't know who wrote Matthew, Mark, or John, although there is a tiny bit of evidence that one of John's disciples may have written the book of John.—Ibid. Thus, Matthew may not have written Matthew, Mark may not have written Mark, and John might not have written John. Sad, isn't it? We wonder why our critic, Dirk Anderson, isn't more forthright on his web site, explaining to folks that he is no longer certain about positions held dear by so many evangelicals. Luke was not an eyewitness of any of the events, and said he got his material from other sources. Perhaps he interviewed the apostles or others who knew Jesus, perhaps he obtained writings that were circulating during the 1st century, but we don't know who wrote them and whether or not those authors were inspired.—Ibid. So what's the point? Where is our critic going in all of this? So, let's not be alarmed when there are minor discrepencies [sic.] in the stories, since after all, the writers did not claim inspiration, may not have been eyewitnesses, and were relating stories that happened perhaps decades earlier.—Ibid. There you have it! 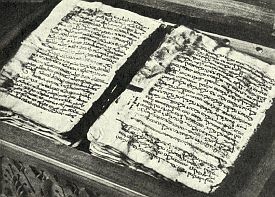 The reason why there are alleged discrepancies between the Gospels is because the Gospels might not be inspired, may have been written by others than who we think, and maybe were written way later than what we think. Lest you wonder where we stand in all of this, we are not sympathetic one bit with such views of the Bible. We believe Matthew wrote Matthew, Mark wrote Mark, and John wrote John, and we believe that all the Bible is inspired, including what Luke and Paul wrote. By the way, I want you to know that hardly a week passes when I don't defend the 7th day Sabbath. I don't know if your readers realize that unlike many of the critics of EGW, I keep the Sabbath, I am a vegetarian (with a little fish), and I believe the dead are asleep in their graves. I have stated to numerous people over the years that I agree with the vast majority of what Ellen White wrote . . . .—"Re: Was it God or Dr. Jackson?" Feb. 27, 2005. But back to the main topic of this page: Ellen White predicted that Adventists who gave up faith in her ministry would tend to doubt the Bible. While we don't presently know what percentage of her critics hold views similar to the above, it will not surprise us if some of Ellen White's apologists claim that this prediction of hers has already come true. Her critics doubting the Bible: What do you think of this prediction?